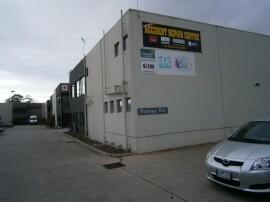 Sunbury ACCIDENT REPAIR CENTRE Located at the factory 1 / 23 Mc Dougall road Sunbury. Situated behind Masters and Bunnings Warehouse. Body repairs and spray painting your car back to manufacturing standards. Recommended repairer for Suncorp Group and Auto general insurance and working closely with all other insurance company’s to get your car repaired hazzle free. With free loan cars and ability to pick up and drop off your car is all part of the service. When can also detail and paint protect your vehicle. Working closely with local exhaust and mechanical professionals so your car gets completely repaired from head to toe.